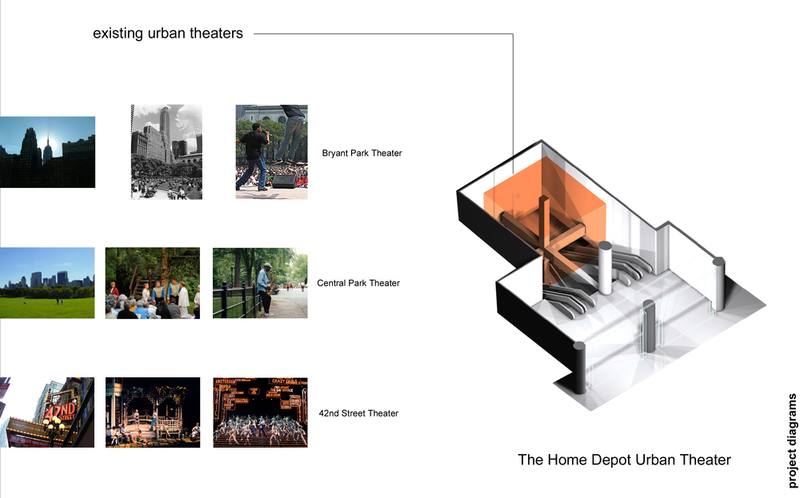 A unique lobby experience was designed for the first Home Depot Flagship store in Manhattan at 59th Street and Lexington. 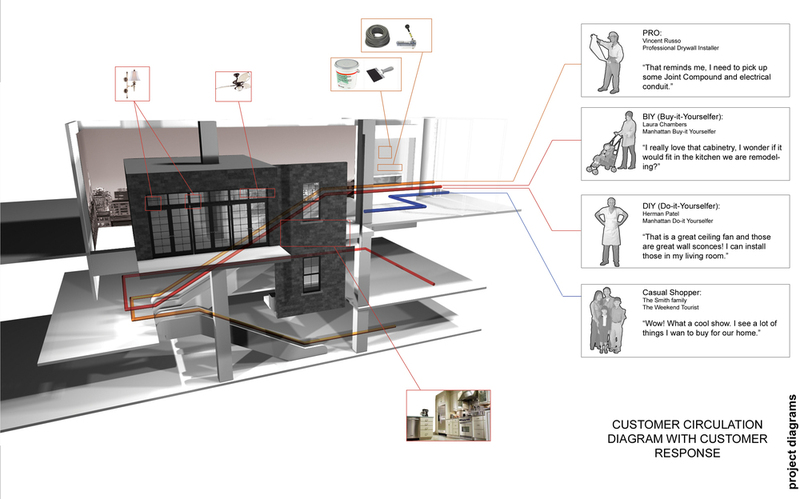 The concept proposed constructing a partial apartment built and furnished exclusively with Home Depot materials and products which visitors pass through as they circulated around the three-story tall entry lobby. 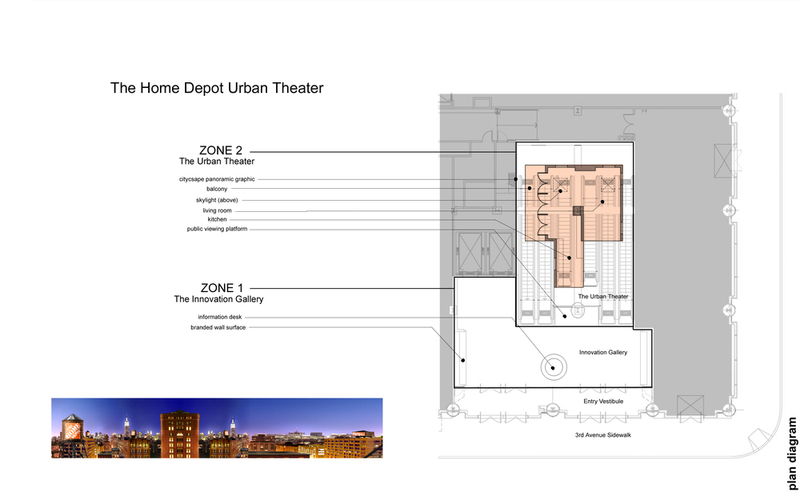 The apartment serves as a multi-functional space for product demonstrations and display, corporate meetings and special events. 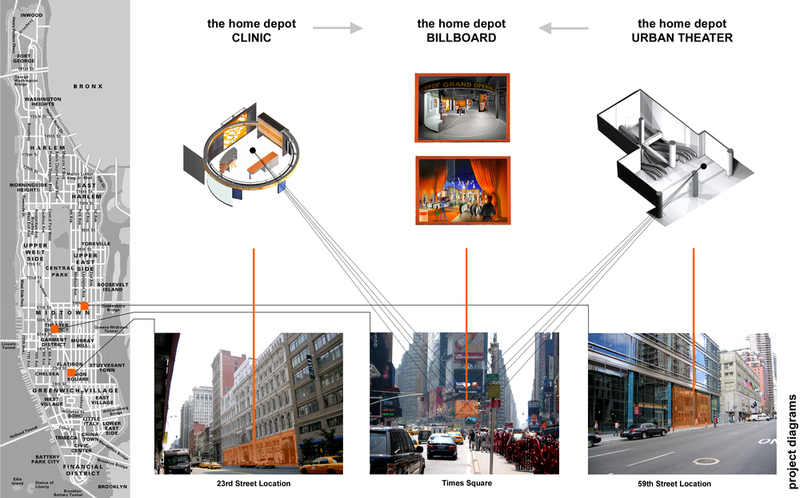 For the first opening weeks, the platform was fully activated as a product demonstration "theater" where customers could see around the clock do-it-yourself projects focused on urban living spaces.